When will you update 周末狂熱-節目重温？it’s been outdated for awhile. Please update ASAP? We missed the program. According to the schedule, 走馬天下 should be from 7:30 thru 7:45. It becomes 晨早新動力 instead. What a disappointment. I miss 王王受 and 梁燕城. They are still available but just got moved up to 7:15am. I actually like the new schedule. 請問你們的”客戶通訊錄”有更新嗎.? 我有天在電台上聽到有一家甜品/小食店在你們那里賣廣告, 由於接收不好, 只聽到叫”PAC-ASIA??? ), 回來看這個”客戶通訊錄’, 沒看到..
Andy 星期五 8;30 讲路况时笑到… … , 唔知佢讲什么 , 听后我们都哈哈大笑? ! 因为我们是你们的忠实听众 , 你们居然讲成这样 , 我们唯有与你们同乐 ! Can you please re-upload the “1430 劇場” and “十點鐘劇場” on Aug 25 since they are wrong? Thank you very much for your hard work. Why AM1430 not working on desktop and iPad in every morning? AM 1380 & 1480 is working good? Why there is NO live on line in either thu website or apps…Ipad in the morning in this couple days and today too??? Can you bring back Cantonese program in AM900? We live in Orange county and can’t hear AM1430 very well. Is there a book for the stories of :以短篇故事或文章去帶出人生種種道理 by Leung kwok cheung ? Those stories are SSSSSSSSSSSo Good that I want to pass to everyone I know. Hi 台长, 我们强烈要求有心人节目给花子做主持 , 他声线好咬字清晰无” 烂音 ” , 我们听到好舒服 , 请考虑忠实听众们的要求 , Thanks ! When do you have a FM channel? When are you going to adjust the programs timetable on your website? It is still the old one. 晨早新动力 AM 7: 00 开始 , DJ 们做的很好 , 内容丰富有活力 , 多谢 你们 ! It’s quite literally hurting my ears, and I really feel like I am wasting my time listening to it. Anyway, I trust that you will take heed to your listeners and hopefully improve or change this, I hope this will happen soon, because I used to greatly enjoy your listening to your station and would love to continue to. Please reply me with updates. Thank you! I do not understand how this came to be, however, the new program that I heard the past few days around 7am is very meaningless and non-sensical. It has no content whatsoever. The information is not relevant, it is sometimes wrong, and I am curious, do the hosts think before they speak? Or do they just blurt out whatever comes to mind, and then proceed to giggle foolishly afterwards about what they just said? 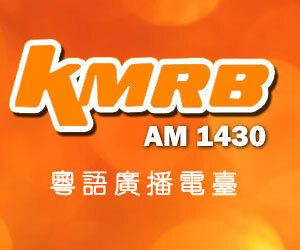 Hello, I have been a continuous listener of AM1430 for several years now. Over the years, I have several programs that I appreciate, and benefit from. However, lately I realized that there have been some programming changes that greatly upset me. I, personally, and I’m sure other listeners as well, appreciate listening to programs with good content, useful info with knowledgeable hosts. I would think that programs would move forward to improvement, however it scares me that you are going dramatically backwards. Thank you for your message and suggestion to our program. AM1430 is always ready to learn and seek to improve our program. Your comments have been forward to our management team for reference. I am so glad that AM900 becomes part of AM1430 during the weekdays from 12:00-8:00pm. The signal has been improved so much and I could listen to AM900 clearly while driving for at least 30 – 40 miles from east of Diamond Bar along I-10 and I-60 Fwy. I hope this AM900 could be extended to weekends and all day long in the near future. Another future enhancement that I could think of is the capability to download a recorded program to a file or even store them in your phone or device. This will benefit people who are on the go and be able to play back the recording even when there is no phone signal or Wifi. Some online radio stations have this feature already today. This will become another big improvement. I hope my items on the wish list will be fulfilled in the future. I heard from some 做個有心人 audients before that the sorting order of the recorded program replay 重溫 be in ascending date order (older date first) instead of descending date order (newest date first). Since the player has a feature to switch to the next program when the first one is done, it will make sense to show the recorded programs in ascending order. This is also true for programs that last more than 1 hour like 日落大道, people will want to listen part 1 before part 2 for the same day. 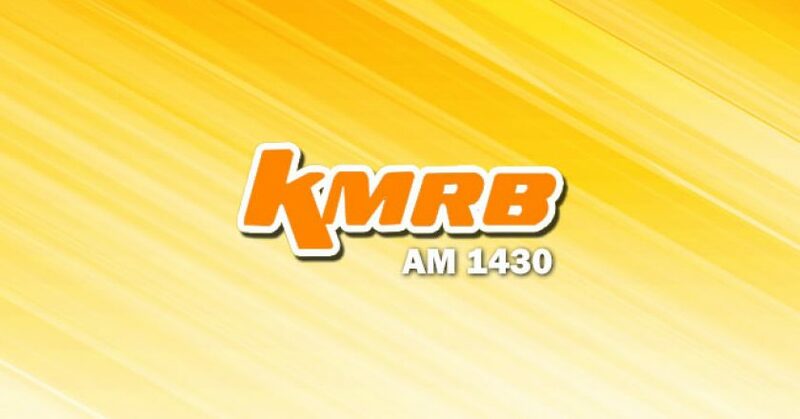 I know AM1430 is undergoing some program time changes and shuffling starting Tue 11/1/16, it will be very helpful if the web site reflect these time changes. I checked the time table 節目時間表 this morning and it doesn’t reflect the new changes yet. Hi, on the “做个有心人” talkshow, my mom heard someone talk about buying some sort of mosquito repellant powder and laying it all over their house to prevent mosquito and other bugs from coming near. She has forgotten the name of the product but she remembers it was not a chemically harmful powder and it was presented some time during June or July. She said the talk host would put the information online but since my Chinese is not good enough to navigate this site, how can I get access to this information? Hi, I want to contact the guest on air – Thomas. Would you please let me know his medical office address or phone no. Hi. What is the direct link to access the audio clips for the daily radio show that gives people a chance to call and ask questions or give advice? In english translation, the show is “good hearted person” which is on the radio at 1130 AM. I am not able to view any audio clips on my phone. It does not show. Thank you. 《做個有心人》 can be replayed via our web-site. There are some issues to listen to the ‘節目重溫’. The list doesn’t show up so that you can’t select. I tried 4 different browsers to access the same place and so far only Internet Explorer works. Chrome, Firefox didn’t work. Even iPhone’s Safari doesn’t work which means can’t listen using the phone. I was working as of last Sunday 2/21/16. Please have your technical team to fix this. Thanks. Thank you for your message. Would you please provide more information about the replay problem. (Which program and date?) We have tried with different devices (iphone / ipad / PC / Samsung Phone) and they all worked for the replay function. We will have our technical team to check again. I tried again this morning 2/29/16 using Google Chrome and iphone’s Safari and most of the replay list didn’t show up. 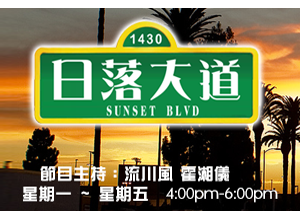 On Chrome, the programs were 早晨 L.A., 日落大道, 周末狂熱. However only one list shows up – Go 潮生活. On iPhone 6S (iOS 9.2.1), the programs were 日落大道 and 周末狂熱. I have screen prints on both Chrome and iPhone to show you what I see. If you need those sample, please email me because there is no picture attachment feature in this reply. Have sent some of our tested pages to your email address. Please check and let us know if you still have problem to replay. BTW, you need to click the replay button (the Triangle icon) to show the full list. Please tell the 8:00 AM news DJ, to report the S&P500 index during business news. S&P500 index represents top 500 companies which is more even more important than DOW index which only represents 30 companies. I know some DJ like A*** never report S&P500 which is kind of insufficient for business news. BTW AM1300 always do. Sorry to bother you. The record for 十點鐘劇場 on Nov 25 is wrong. It should be the 60th episode, but turned out was the 59th. Thank you all for your hard work and Happy Holidays!! !